Chardham Yatra is one part of Indian culcture and Religion of India.There are four Abodes in Himalayas collectively referred as "Chota Char Dham of India " and popular as "Char Dham Yatra" which includes four holy shrines of Hindus: Badrinath, Kedarnath, Gangotri and Yamunotri. All of these temples are situated within the Garwhal region of Uttarakhand state in North India. These four anciet temples also marks the spiritual source of four sacred rivers as well: River Yamuna (Yamunotri), River Ganga or Ganges (Gangotri), River Mandakini (Kedarnath) and River Alaknanda (Badrinath). 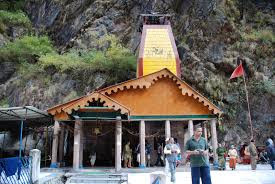 Yamunotri Temple , Gangotri Temple, Kedarnath Temple and Badrinath Temple collectively referred to as the Chota Char Dham of Hinduism, these four sites is an important shine for Hindus.Here is Information about Chota Char Dham Temples in Uttrakhand India. Yamunotri Temple is located at an altitude of 3293 metres above sea level, in the Garhwal Himalaya 40 km away from Barkot Uttarkashi district of the State of Uttarakhand. 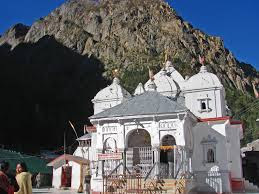 The first of the four Himalayan dhams, Yamunotri, is in the first of the the pilgrimage to the four dhams begins from here.Yamunotri Temple is the source of the Yamuna River and the seat of the Goddess Yamuna. It is situated in the Garhwal Himalayas and located approximately 30 kilometers (19 mi) North of Uttarkashi.Maharani Gularia of Jaipur built the Yamunotri Temple in the 19th century. The Yamunotri Temple opens on the auspicious day of Akshaya Tritiya. The Yamunotri Temple is dedicated to the river Yamuna also known as Yamuna Devi. Gangotri atemple, the origin of the River Ganges and seat of the goddess Ganga, situated in Uttarkashi.The original temple was constructed by the Gorkha General Amar in 18th century. Gangotri temple located at an altitude of 3,200 mts on the left bank of Bhagirathi in Uttarkashi district in Indian state Uttarakhand. The Gangotri Shrine opens on the auspicious day of Akshaya Tritiya. Gangotri temple is dedicated to Goddesh Ganga.The Ganges is believed to be the sacred source of purity and sanctity and so before visiting the temple, devotees take a holy dip in this mighty river.A part of Greater Himalayas, Gangotri Temple is blessed to have River Bhagirathi flowing by its side, other than being the origin of river Ganga. Badrinath Temple is located at Badrinathdham Chamoli district in the state of Uttarakhand, a height of 3133m above sea level Himalaya Mountain Garhwal Hills on the bank of Alaknanada River ,India. One of the famous shrines of the Char Dham Yatra of Uttarakhand, it is the sacred place devoted to Lord Vishnu.Badrinath Temple is dedicated to Lord Vishnu.Badrinath is a magical blend of divinity and natural beauty.The Kings of Garhwal have built the present structure of the temple. The Lord Badari Narayan carries a Shankh (Conch) in one hand and Chakra in the other. The other two arms rest on the lap in Yogamudra.The opening date of Badrinath Temple is fixed on Basant Panchami by Raj Purohit.It is being believed that the temple was established by Adi Shankaracharaya in the 9th century. Kedarnath Temple in Rudraprayag district of Uttarakhand state is elevated at an altitude of 3584 m above the sea level flanking around the river Mandakini. It is considered as the most pious abode of Lord Shiva and is believed that one of the 12 forms of Lord Shiva in the shape of “Jyotirlingas” was dropped at the hills of Mandar where the main temple is located. 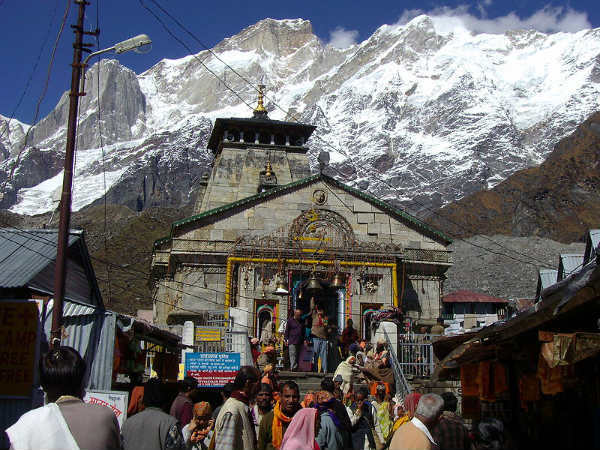 The opening of date of Kedarnath Temple is fixed and decided on the Shiva Ratri.The temple was being constructed by Adi Shankaracharya and was privileged by the name of King Kedar, the ruler of Satya Yuga.Each year the summer months see thousands heading to make this difficult pilgrimage.